Consider donating appreciated securities. When you donate securities that have appreciated significantly to a charity, you can get the deduction for the full market value of that security (up to 30% of your adjusted gross income) but don’t have to pay the capital gains taxes you would have paid if you’d sold that security. And the charity can sell the security and use all of the proceeds, because they don’t have to pay capital gains. You get a bigger deduction; they get a larger gift. If you’ve held the stock so long that you aren’t even certain what your basis in that stock is anymore, you can make a charitable donation and get the deduction for the current market value, cleverly avoiding the dreary research of establishing what that stock was worth when you purchased, or inherited, it. And you can donate such appreciated stock to a Donor Advised Fund, too–that way you can have the benefit of time to research charities and avoid capital gains on long-term appreciated assets. 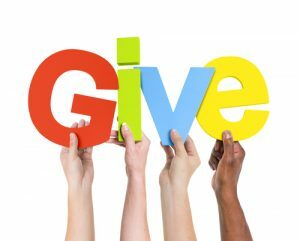 Charitable rollover directly from an IRA. The last item on this list is actually still a question mark. The IRA charitable rollover provision allows taxpayers aged 70 ½ to distribute up to $100,000 out of their IRA directly to charity. This is a real benefit for the taxpayer (because if they don’t have to take their required minimum distribution but can instead donate these funds to charity their taxable income won’t be increased by that amount and their tax rate may not go up as well) and, of course, it is a boon for charity. But it isn’t yet allowed for 2015. Last year, Congress passed a retroactive extension of this particular benefit in mid-December, so it was only in effect for two weeks. This year there are efforts being made to extend it again…..but it hasn’t happened yet. I promise to keep you posted.